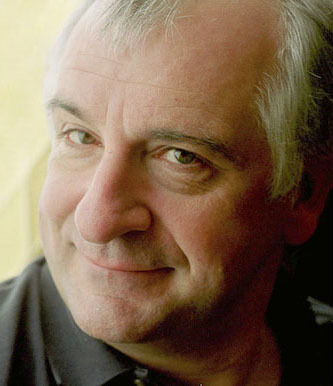 Oggi, 11 marzo 2012, Douglas Adams avrebbe compiuto 60 anni, se non fosse morto a 49 l’11 maggio 2001. To celebrate this event, Douglas’ family and friends, in association with ‘Save The Rhino’ (one of Douglas’ favourite charities) are holding a very special birthday celebration in his honour at the Hammersmith Apollo in London. An evening’s entertainment from some of the finest names in the world of science, comedy, entertainment and music, with a very special premiere performance of Douglas’ material, this is one event that is definitely not to be missed. The Ultimate Question of Life, the Universe and Everything (di cui per la verità abbiamo già parlato qui) tratto dalla versione televisiva BBC (e non dallo stupido filmetto di qualche anno fa). Many many millions of years ago a race of hyperintelligent pandimensional beings (whose physical manifestation in their own pan-dimensional universe is not dissimilar to our own) got so fed up with the constant bickering about the meaning of life which used to interrupt their favourite pastime of Brockian Ultra Cricket (a curious game which involved suddenly hitting people for no readily apparent reason and then running away) that they decided to sit down and solve their problems once and for all. It was the size of a small city. The subtlest of hums indicated that the massive computer was now in total active mode. After a pause it spoke to them in a voice rich resonant and deep. “A simple answer?” added Lunkwill. Fook glanced impatiently at his watch. “Seven and a half million years,” said Deep Thought. Lunkwill and Fook blinked at each other. “Seven and a half million years . . . !” they cried in chorus. ff experimentally and settled down into a businesslike pattern. 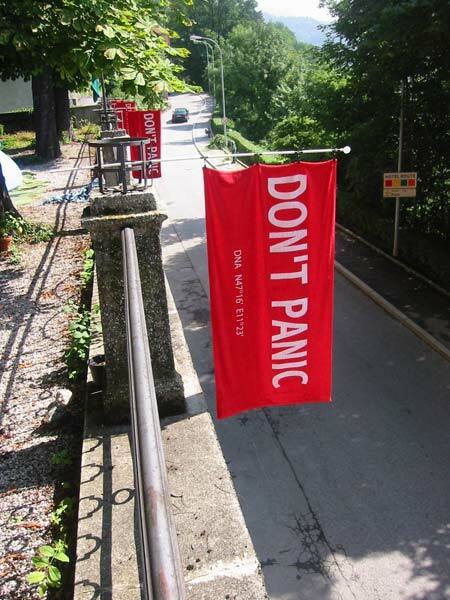 A soft low hum came from the communication channel. “Good morning,” said Deep Thought at last. “There really is one?” breathed Phouchg. “And you’re ready to give it to us?” urged Loonquawl. “All right,” said the computer and settled into silence again. The two men fidgeted. The tension was unbearable. “Of Life, the Universe and Everything . . . ” said Deep Thought. “Is . . . ” said Deep Thought, and paused. It was a long time before anyone spoke. Out of the corner of his eye Phouchg could see the sea of tense expectant faces down in the square outside. “We’re going to get lynched aren’t we?” he whispered. “It was a tough assignment,” said Deep Thought mildly. “But it was the Great Question! The Ultimate Question of Life, the Universe and Everything!” howled Loonquawl. “Oh terrificc,” muttered Phouchg flinging aside his notebook and wiping away a tiny tear. Deep Thought pondered this for a moment. “But can you do it?” cried Loonquawl. Finally: “No,” he said firmly. Both men collapsed on to their chairs in despair. “But I’ll tell you who can,” said Deep Thought. They both looked up sharply.